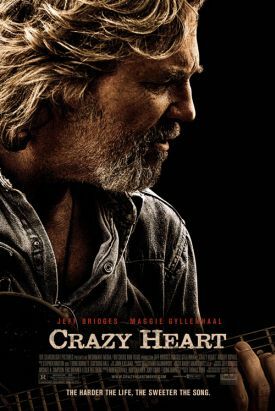 Scott Cooper’s Crazy Heart may have the longest establishing segment in film history, an introduction lasting for most of the movie and consisting of repeated examples of the dissolution of Jeff Bridges’s dissolute country singer, "Bad" Blake — examples, therefore, of what makes him bad, as well as Bad. No surprises here, of course. The "legendary" Bad’s drinking, smoking and wenching as he bumps along at the bottom of the entertainment industry, playing bowling alleys and bars in mid-sized Western towns, are the things that have made men bad from time immemorial. Drug-taking, for some reason, is only touched on for the briefest of moments and then consists of no more than a puff of marijuana smoke. Bad, we are to understand, is Classic Bad, rather than (as one might say) New Bad. Now, of course, we know that "bad," like Bad, is good. Or at least not bad. And Crazy Heart is here to tell us, like my favorite TV show, "Celebrity Rehab with Dr. Drew," that good is not bad too — maybe even that good is good, though it is still better, like Bad, to have been bad before becoming — which by the end of the film Bad has — good. He has also, significantly, reverted to his given name. It kind of makes you tired to go over such familiar ground, which brings up both the reason for the long establishment and the problem with the film which is that, however momentous it is for the person in recovery, addiction therapy is fundamentally pretty banal in the watching. The appeal of "Dr Drew" is that his addicts are people whose names we know — so we feel that we are getting a private look behind the scenes at life among the celebs — and that they are quite likely to backslide. It’s like watching a NASCAR race with the near certainty that somebody is going to crash. I know this is a hard thing to say. Of course, we must feel sorry for the fictional Bad’s pain and loss, just as we would for a real person’s, and for the fact that his self-medication for pain and loss has caused still more pain and loss, including that of his most recent love-interest who is played by the much younger Maggie Gyllenhaal. She goes the way of his multiple wives, just as her four-year-old son is lost to him in the same way that his four-year-old son was lost to him, through his own fault, 24 years before. Tough on Bad; tougher on the kids, maybe. But Bad has got to be the center of attention even though, in terms of cinematic artistry, it’s pretty hard to do anything interesting with such materials. Miss Gyllenhaal’s character, for instance, is a kind of groupie — the film has already shown us what such a person looks like when she turns up — who has one-night stands with washed up country singers. And yet that’s, somehow, meant to be not pathetic? Wouldn’t there be more to think about if we didn’t have to be focusing on poor Bad all the time and, therefore, seeing her as just the perfect mother to her four-year-old? The point is that weakness is just not very interesting as a subject of a drama or a movie. It’s an excuse for something else, rather than the thing itself, which is what we’re really interested in — in this case Bad’s bent for self-destruction. Getting over this weakness is correspondingly anti-climactic even when it is overcome, as we would all wish it to be in real life, through dutiful but unphotogenic striving. When the movie finally gets around to telling a story that is not, or not just, the familiar story of addiction, ruin and redemption, it is the equally familiar story of turning one’s pain and loss into art — in the form of songs, ostensibly by Bad Blake but actually by T-Bone Burnett, Ryan Bingham and Stephen Bruton, all quite persuasively performed by Mr Bridges himself — and of the rivalry between Bad and a former protégé (Colin Farrell) who is now more successful. That these stories are all pretty familiar is not the problem with the film. All stories have been told before in one way or another. But there needs to be something more original to make all this stuff come to life. There the film comes up short, I find, which is why the best bits of it are the musical numbers. And here, I fear, I must sound a dissenting note on Jeff Bridges, who has been universally praised for his portrayal of "Bad" and is widely tipped to win this year’s Oscar for Best Actor. It is that, to me, there is something annoyingly post-modern in his performance. Bad is always, as it were, looking at himself being bad, and that self-awareness is corrupting. There are those who are bad out of sheer exuberance of spirit, and that’s what this film wants you to think about Bad. But, fine as he may be as an actor in other ways, Jeff Bridges can’t be unself-conscious. He can’t be, as it were, na vely and sincerely bad, which is what his character needs to be in this picture to make us believe in him. He’s much more himself and therefore better and more interesting artistically as the Dude from The Big Lebowski, a man who is bad on purpose, almost in principle. To that extent, he stands above and apart from Crazy Heart’s improving and uplifting moral lesson. 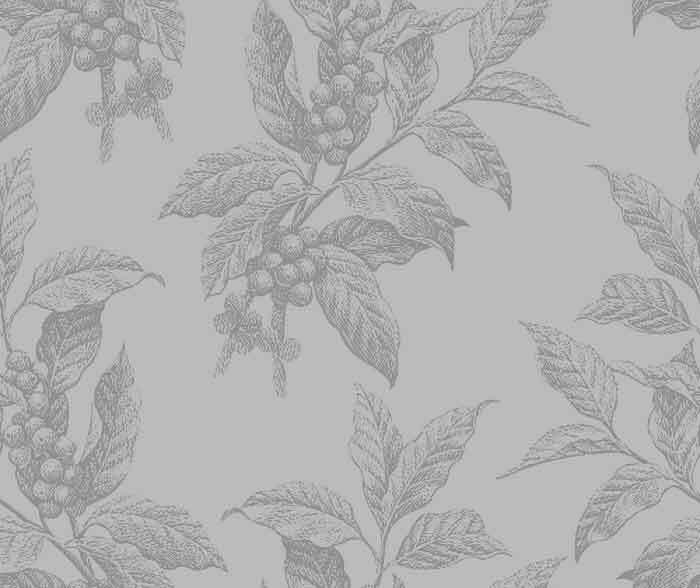 I hope I won’t be misunderstood as attempting to deny that the lesson is improving and uplifting, but it must be admitted that sobriety is a bit boring, in dramatic terms. In the end, our hero has just returned to the place where ordinary, decent, responsible people have remained all along. That’s great, of course, but there is something that strikes another one of those false notes, artistically speaking, about the fact that so many people these days expect to be congratulated merely for being ordinarily decent and responsible citizens — and in many cases, like this one, after they have also been congratulated for the authenticity of being non-decent and irresponsible in culturally significant, "transgressive" ways. Mr Bridges’s "Bad" Blake can’t quite disguise the fact that he is coming forward, grinning, to accept these awards — for genuine grittiness, or gritty genuineness — in the first place, so that in due course his creator may finally get his Oscar.